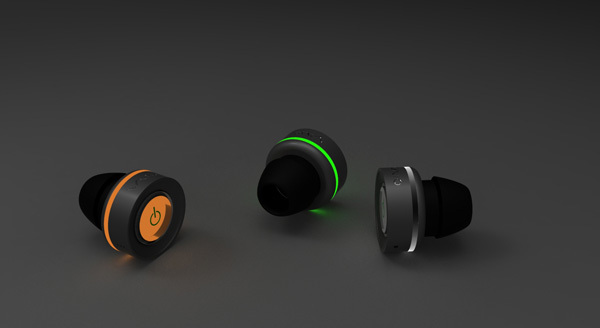 Yankodesign says ”It’s about time the Bluetooth headset shed the nerd-factor! 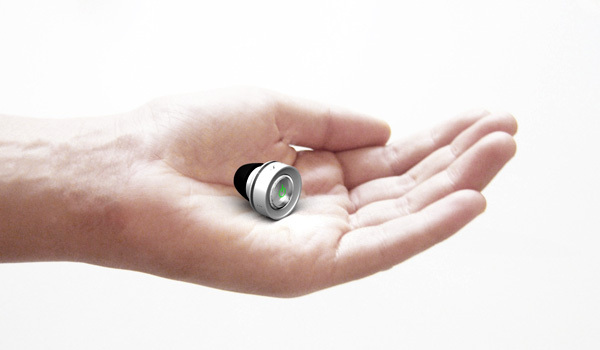 This design by Erjon Hatillari was inspired by the simplicity of the Sony Vaio’s On/Off button and is almost as small. Using the same unique color scheme as the Vaio, the rechargeable earpiece’s chrome detail glows green during a call and orange when charging. In the form of a single earbud with one large button control, this design combines easy-to-use functionality with basic ergonomics into one sharp looking earpiece”.